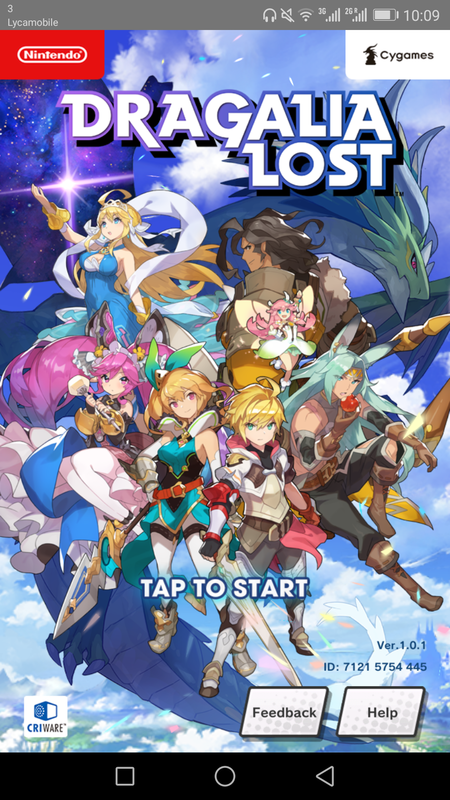 During April of this year, Nintendo announced Dragalia Lost, a brand new action RPG for mobile devices. This title was co-developed by Cygames, who are well known for their mobile/browser games–perhaps the most famous one being Granblue Fantasy. Our article is based on Version 1.0.1, which came out during late September 2018. As of now, Dragalia Lost is available for download in North America and various Asian countries, with a global release planned for the future, whenever that is. Being the curious lot we are, we sneakily “smuggled” ourselves on board the Dragalia boat to see what all the fuss was. To give some perspective, in recent years, Nintendo has been making efforts to branch out into the mobile gaming space. First, they partnered with Niantic to bring out Pokemon GO. Then they developed their own games with the help of DeNA, such as Miitomo, Super Mario Run, Fire Emblem Heroes, etc. Their latest project, Dragalia Lost, is a cutesy fantasy-based action RPG, where you can directly control your character and battle against enemies in real time. You can also form a party of up to 4 members, with the ability to rotate between party members at any given time. The story goes that the Kingdom of Alberia needs a new magical shard since their current one has almost run out of power. 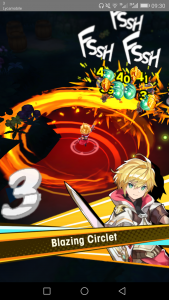 You play as Euden (whose name can be changed), a prince of Alberia and 7th in line to the throne, who’s been tasked by the king–his father–to search for the said shard. You start off alone, but various characters will join you as you play the story. Along the way, all kind of JRPG shenanigans happen. You end up befriending all sorts of quirky and colourful characters, encounter villainous foes with nefarious machinations, enter pacts with ancient dragons, eventually lose everything you hold dear, and so forth. 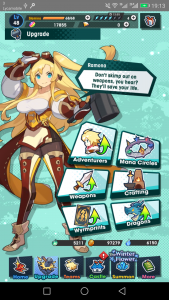 What makes Dragalia Lost stand out, especially as a mobile game, is the sheer amount of polish put into the presentation. The graphics are vivid, important scenes are voice acted and the music is simply stellar, with songs by Daoko, a renowned Japanese female rapper. For those who really appreciate the authentic touch, there’s even an option to play with Japanese voices. But it goes far beyond that–if you select Japanese voices, virtually the entire game is voice acted, barring some character side stories. Gameplay-wise, there are a few similarities with Fantasy Life Online, which we covered in an earlier article. You control your character by holding your finger on the screen and sliding it, using the initial position as a pivot. You can then do basic attacks by tapping the screen. When you damage enemies, there are comic-style sound effects! When the going gets tough, you can avoid enemies by swiping the screen to perform a rolling dodge. Later, you can unlock a Force Strike for your character, which can be performed by holding your finger in one position for a certain amount of time. This is used to break enemy shields. In addition, as you attack enemies, you will build up your character’s various skill gauges. Once a gauge is full, simply tap the skill button to unleash a skill. Doing so will also offer temporary invulnerability for most enemy attacks, which can be handy in a pinch. Last but not least, after entering a pact with a dragon, you can equip characters with dragons. Likewise, as you progress through a fight you will build up your party’s dragon gauge. Once it’s ready, tapping the gauge will make your character temporarily shape-shift into a powerful dragon. Similar to Fantasy Life Online, the controls can be hit and miss at the start, although they feel slightly better here. The hardest part is probably moving your character–a game like this would really benefit from an actual analogue stick. But you get used to it with practice. You’ll explore all types of RPG staples, like woodlands, volcanoes and mountains. Unlike Fantasy Life, the UI is much less cluttered, so you get a lot more room to move around. You can also vertically mirror the UI, which can be useful. 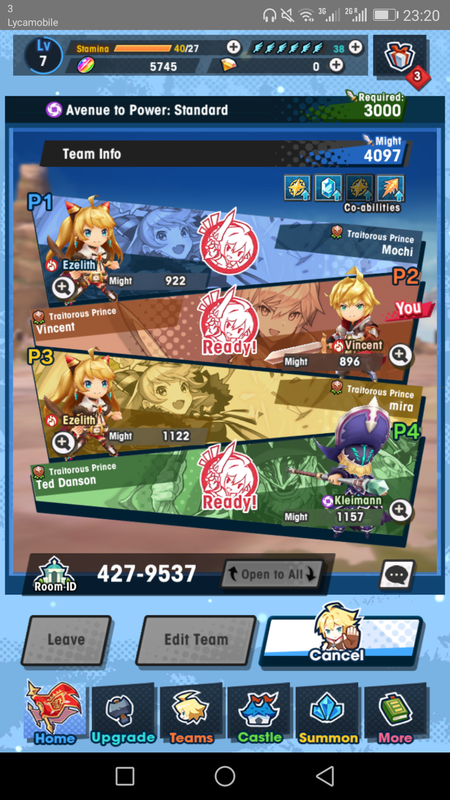 This does cause a tiny problem in that the UI buttons are a little small, especially the buttons to choose a specific party member. The game itself is split into multiple chapters, each with multiple parts, that also have multiple story sequences and stages that you can actually play. At the time of writing, there are 6 story chapters and multiple recurring event stages as well. To play a stage, you need to consume stamina because it is a mobile game after all. In the early stages, stamina cost a small amount but then the costs grow from there. As you clear stages, your player level increases and when it does, your stamina automatically refills. Which is pretty dang amazing. Up until around player level 40, which is likely several days of playing, the rate at which you refill stamina from levelling up surpasses the rate you deplete stamina. So you can basically play non-stop for a week but after that you will need to wait. The later boss battles, particularly versus the dragons, can be a real test of wits! To begin with, the gameplay can seem rather one note. Most stages are comprised of a single mini-labyrinth dotted with enemies. We say labyrinth, but there are very few branches in the path. At the end of each is a boss-type enemy that you must defeat to clear the stage. Another issue is that, early on, clearing stages basically boils down to button mashing. 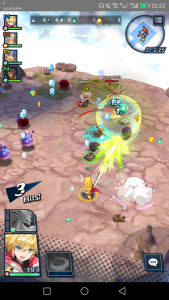 However, before long, the enemies get more frequent and have more varied attacks, so you will have to learn how to dodge and make the most of your resources. Likewise, the bosses will start to amp up. Eventually, you may get to the point where you really need to learn the ins and outs of the game. 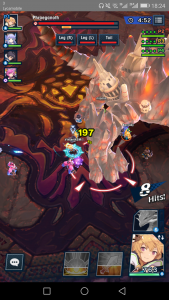 One of the first things you must learn is the elemental rock, paper and scissors for Dragalia Lost. Fire beats Wind, Wind beats Water and Water beats Fire. Meanwhile Light and Dark counter each other. Similar to Fire Emblem‘s weapon triangle, choosing an advantageous element will make your life much easier. Not only will you deal a lot more damage but you will also take much less damage from foes. Light and Dark users are special because they don’t take extra damage from foes of the opposing element. Upgrades, so many things to upgrade! Then we reach the other main component of the gameplay: the upgrading or, as we lovingly call it, the “endless grind”. As usual, characters will gain experience and level up, becoming stronger as you defeat enemies. However, that’s not the only way they can get stronger. You can also outfit characters with weapons, which can be levelled up using materials you’ve looted. Weapons can also be unbound, by merging multiple copies of the same weapon. This increases the weapon’s level cap and may give it additional weapon skills. Similarly, you can equip characters with Wyrmprints, which are cards or accessories that give extra stats and passive abilities. Plus dragons enable characters to shape-shift into a draconic form during battle. Both of these can be unbound in a similar manner, by merging them with copies. On top of that, each character has a Mana Circle, which is a tower of 5 rings, each ring containing 10 incremental upgrades such as additional HP and Strength stats, new abilities, etc. You must spend Mana and materials to unlock these upgrades, and you start off at the lowest ring. Some of the later upgrades require MMO levels of grinding. 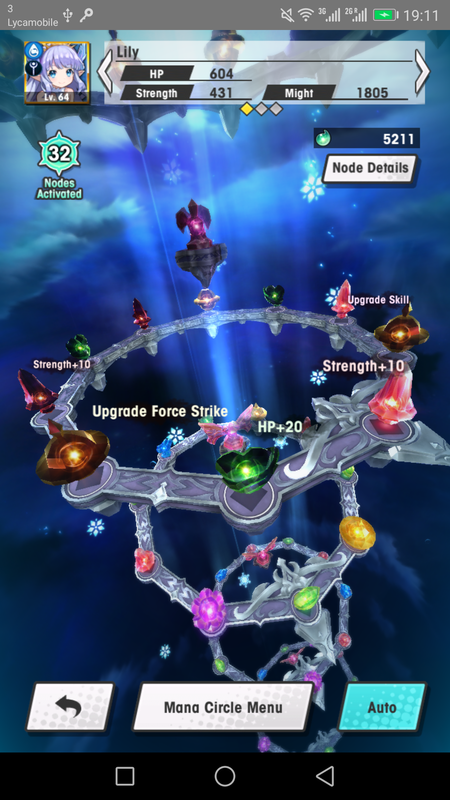 To progress to the next ring up, you have to unlock all the upgrades in the current ring and pay materials to “unbind” and reach the next ring. The costs of unlocking increases almost exponentially as you go up the rings, so expect to be here for a long, long time. Finally, besides your characters, you have a castle to attend to: the Halidom. Here, you can construct facilities that provide assistance to your journey. At first, it seems a bit superfluous, but the bonuses really help and in fact, your progress is heavily restricted by your Halidom progress. Once you’ve learned the ropes and upgraded all your characters to a sufficient degree, you’re ready to take on the game’s challenging content! Or you should be if it wasn’t for another niggling problem with the game: the terrible AI for the party members you don’t control. Early on, the AI is tolerable since the game is easy. But when the going gets tough, you’ll wish the AI was a bit more competent than just standing blindly in front of a boss while the boss is readying a move that deals a lot of damage. Expect to shout "What are you doing? Get out of the way!" a lot. Joining a co-op game is a relatively painless endeavour. Thankfully the developers anticipated this and have offered an exceptional solution. 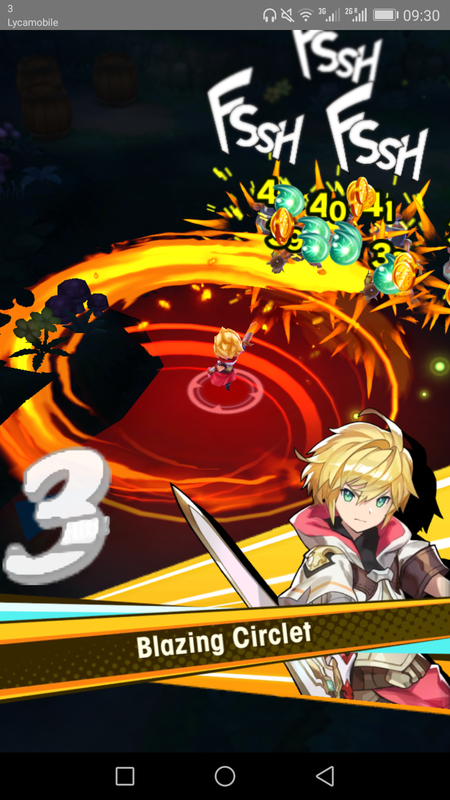 Once you’ve progressed into Chapter 2, you can play any of the game’s stages–this includes the main story and events–via online co-op with other Dragalia Lost players. You can play co-op by hosting a room yourself or joining a room that’s already there. If you’re not keen on playing with strangers, you can also enable private rooms and invite only your friends. Up to four players can join in at once, each controlling one character. Frankly, co-op is one of the best bits of the game. While solo play is enjoyable, it’s nearly always more enjoyable playing with others. This leaves little chance of griefing since you can only communicate with pre-set stickers. Also, given the grind, everyone will probably want to do their best. Whereas playing solo requires stamina, playing co-op uses another currency: Gatherwings. These replenish slower than stamina, meaning you should stick to solo unless necessary. Like stamina, Gatherwings refill when your player level increases, so they won’t run out for a while. Summoning is essentially gambling, so know your limits! Now onto the part, you may be most intrigued by–or dreading, depending on your perspective, which is the summoning. Like in Fire Emblem Heroes and Fantasy Life Online, you can perform summons using free currency (Wyrmite) or paid currency (Diamantium). 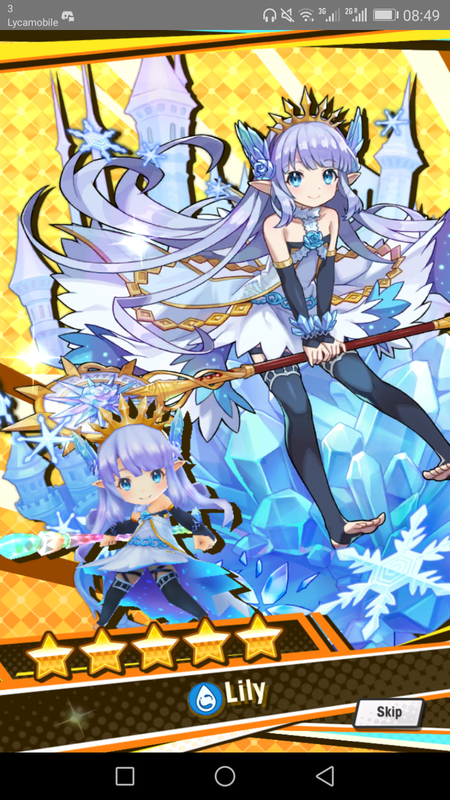 Wyrmite can be obtained by progressing through the story, achieving milestones, from log-in bonuses, etc. These are basically equivalent to Orbs in Fire Emblem Heroes. Diamantium is the premium stuff and performs the same role as Wyrmite, but it can do more than Wyrmite. 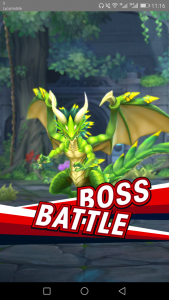 When you summon, you can obtain one of three things: an Adventurer (a character that you can play as), a Dragon (that can be equipped and used for shape-shifting) or a Wyrmprint (a card that can be equipped like an accessory). All of these come in 3-star (common), 4-star (rare) and 5-star (rarest) variants. Naturally, the higher the stars, the better the stats. You don’t need to summon to play the game, as the game gives you plenty of all three through the story. But they won’t be as good as the summoned ones. 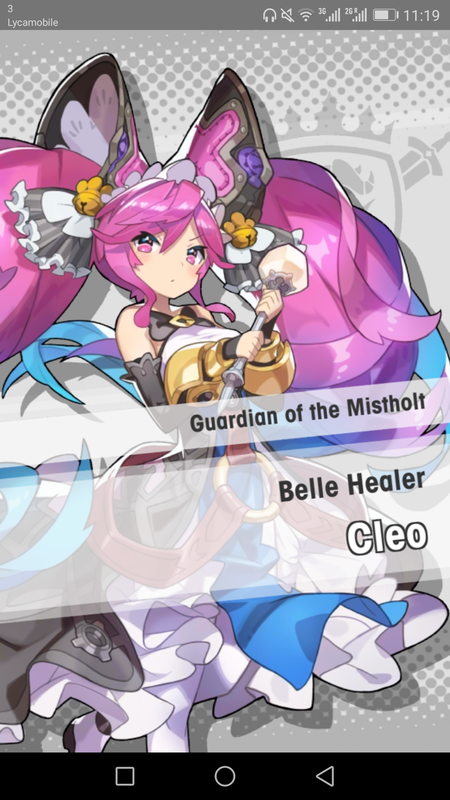 If you played Fire Emblem Heroes, you might be in for a shock when you go to summon. Because the appearance rates are comparable to other mobile games, in that they’re low–really low. 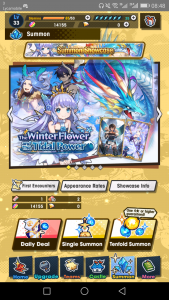 The chance of any 5-star is 4%, but half of that is for Wyrmprints, which honestly aren’t as desirable. 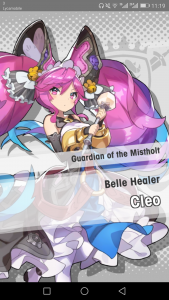 Because Dragalia Lost is a new IP, all of the characters–including the ones you can summon–are brand new*. So unlike say, Fire Emblem Heroes, you probably won’t have an attachment straight away. Fortunately, each Adventurer has multiple Adventurer’s Stories, to allow you to get to know them. * We should mention that there’s some overlap with Cygames’s other titles. For instance, many characters from Granblue Fantasy make cameos in the Wyrmprint artwork. 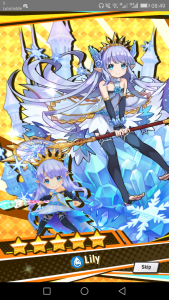 Not only that, but the most recently added character, Lily, originates from Rage of Bahamut and has also appeared in Shadowverse and Granblue Fantasy. Squad raids feature bosses with breakable body parts like Monster Hunter. 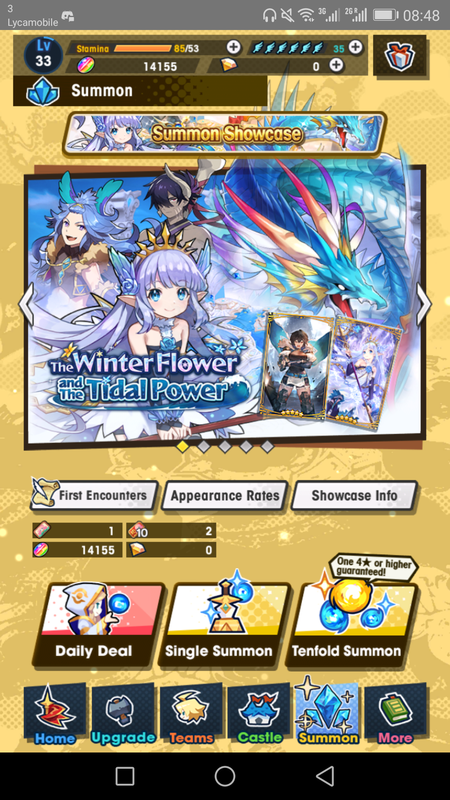 On the plus side, like other mobile titles, Dragalia Lost is constantly updating with new content. New story chapters have been promised, featuring the members of the Alberian royal family who have yet to make an appearance (there are a lot of them!). Anyway, that’s most of the important stuff. Although honestly, we’ve probably only scratched the surface. So far, we’ve been playing Dragalia Lost for around 2 weeks and, overall, we’ve found the game to be surprisingly addictive and more than the sum of its parts. 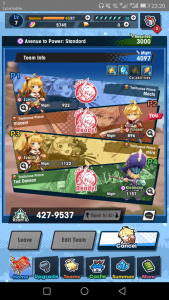 Clearly, it’s still early days for this game but from what we’ve seen, Nintendo and Cygames seem to know what they’re doing. 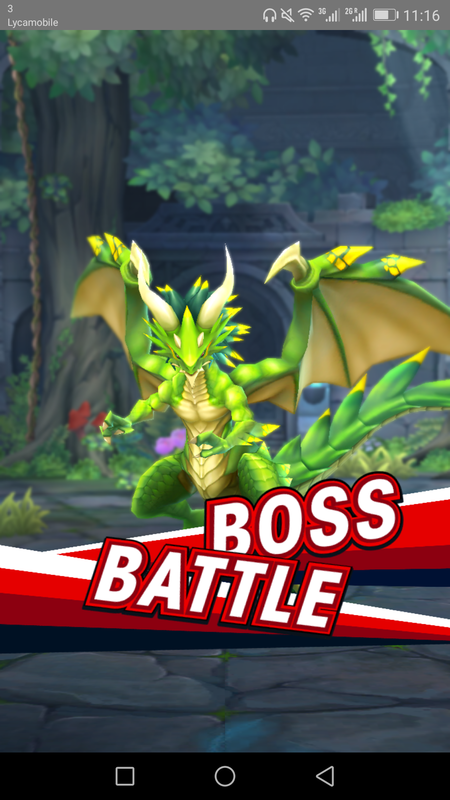 Hopefully, once Dragalia Lost finally lands in the UK, you can give it a try if you’re interested. By that time, expect some more articles from us! Before we leave, here are some gameplay videos recorded for us by Raven from Serenes Forest. Enjoy!